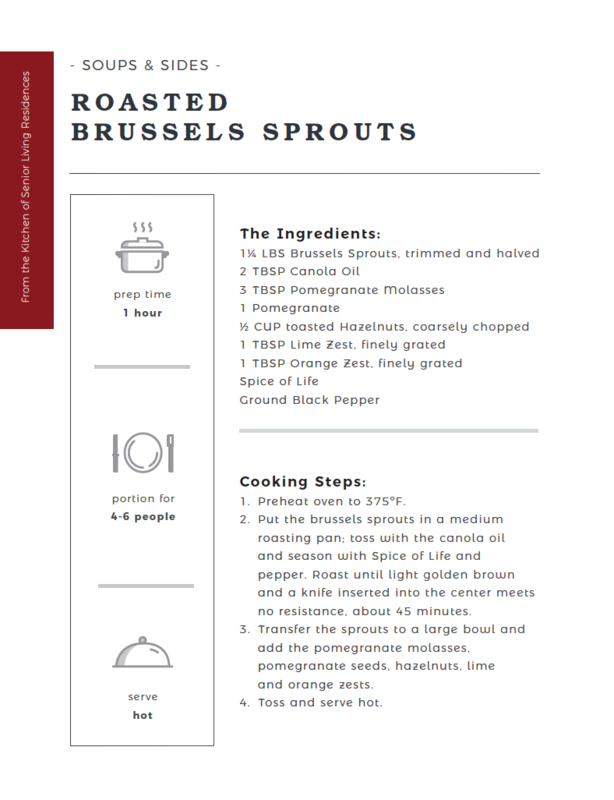 Put the brussels sprouts in a medium roasting pan; toss with the canola oil and season with Spice of Life and pepper. Roast until light golden brown and a knife inserted into the center meets no resistance, about 45 minutes. Transfer the sprouts to a large bowl and add the pomegranate molasses, pomegranate seeds, hazelnuts, lime and orange zests.